Duffy Group, Inc. Named U.S. Chamber Blue Ribbon Award Winner - Duffy Group, Inc.
Duffy Group, Inc. was named a Blue Ribbon Small Business winner by the U.S. Chamber of Commerce. Duffy Group, a recruiting consulting firm, was recognized for its dedication to the principles of free enterprise and its contributions to restoring jobs and prosperity. The award program honors companies that demonstrate excellent business practices in several areas including strategy, employee development, community involvement, and customer service. 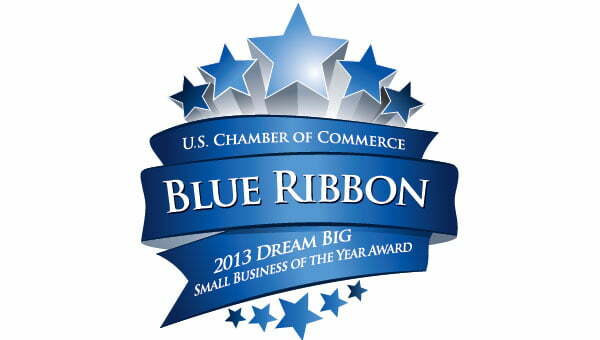 This year‘s 100 Blue Ribbon winners were selected from a record number of nationwide applicants and will be honored at America‘s Small Business Summit 2013, which will be held from April 29 – May 1 in Washington, D.C.
As a U.S. Chamber Blue Ribbon Small Business Award Winner, Duffy Group is also eligible for an award that celebrates our commitment to the community. Any one may vote for Duffy Group at https://dreambigaward.wufoo.com/forms/community-excellence-award-2013/ until February 22, 2013.